The all-new 2013 Mazda CX-5 gives buyers another strong model to consider in the compact crossover class, which also includes the Honda CR-V, Nissan Rogue, and Chevrolet Equinox. While not all new, the refreshed 2012 CR-V has raised the bar for the model offering more interior room, better fuel economy, and new styling. In this Honda CR-V vs. Mazda CX-5 comparison, NewSUV.org wants to take a more direct approach to evaluating these two models. Below are 10 of the most important aspects buyers look for in a vehicle and how we rate them. 2. Fuel Economy – Featuring Mazda’s SkyActiv engine technology, the CX-5 is the most fuel-efficient SUV on currently he market with an EPA rating of 26-mpg city and 35-mpg highway with front-wheel drive and the manual transmission. 3. Safety. Both models have six airbags and offer an optional rear-view camera. Both are also on the IIHS’ top safety picks, making them among the safest SUVs. Tie. The CR-V suffers from pronounced road noise, sizable rear blind spots, and subpar at-the-limit handling. Overall, CR’s testers found the CR-V is functional and easy to live with, if not particularly exciting to drive. 4. Interior Features – This is again more a matter of personal preference. Both offer modern, fresh interiors. Tie. 5. Interior Passenger Room – This is very close. The CX-5 does have an inch more rear passenger leg room and slightly more front and rear headroom. Edge: CX-5. 6. Cargo Room – The CR-V has five more cubic feet of cargo room than the CX-5 and is a clear winner. The CR-V just misses being the SUV with the most cargo room in its class. 7. Price – These two vehicles are similar in price. The CX-5 has a lower base price but both models top out at just over $30,000 with amenities such as navigation, leather seats, and power moonroofs. Tie. 8. 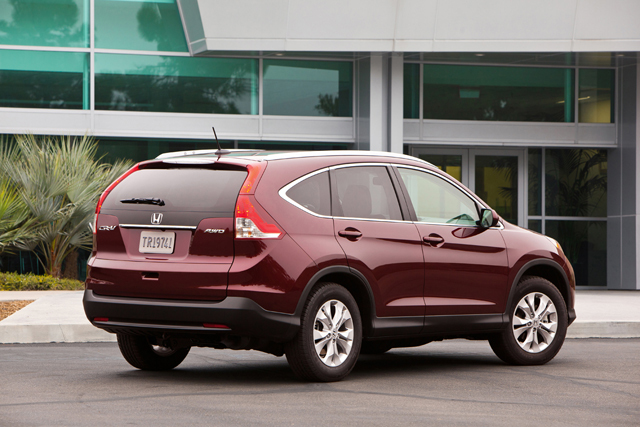 Resale Value – The CR-V has been among the best resale value SUVs for years. 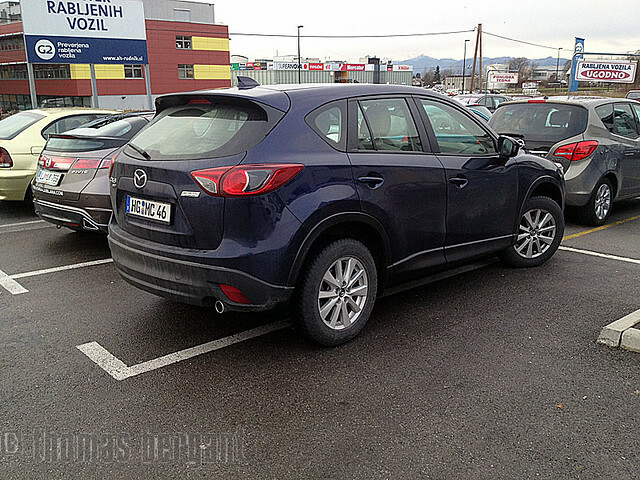 The CX-5 is a new model but is should do well in this department based on how the Mazda CX-9 and Mazda3 have fared. Still, edge to the CR-V as a more known quantity. The CX-5 Touring… is more athletic and engaging to drive, thanks to its agile handling, taut cornering, and responsive steering. 9. Engine power – The CR-V has the clear advantage here with thirty more horsepower and is more than one second faster in 0-60 times. Mazda bucked the trend with new models offering less power but greater fuel-efficiency. 10. Driving Dynamics. Despite being underpowered, the driving experience in the CX-5 has been well received. It has good handling and cornering and it can still zoom-zoom, a little. Edge CX-5. The results were very close but we are giving the overall edge to the CR-V and Consumer Reports agrees. The CR-V just edged the CX-5 in road testing with scores of 77 and 75 out of 100, respectively. Both models finished behind the Toyota RAV4 and Subaru Forester. With is combination of great fuel economy and utility, the CX-5 is likely to join the CR-V as one of the most popular SUVs for women. Which model do you think is better? Voice your opinion with a comment or vote in our poll below.